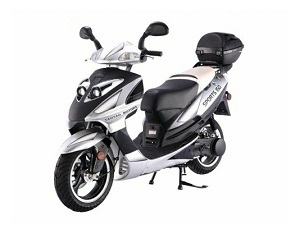 The sporty 150cc scooter type TITAN 150 offers a modern elegant design with a mixed of sporty aggressive dual headlights style. 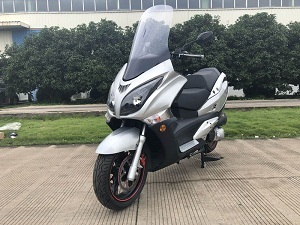 The scooter is powered by a feisty 150cc, air-cooled, 4-stroke engine to produce good strong power for acceleration while keeping a good gas mileage. 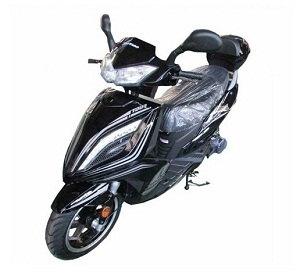 The scooter also equipped with electric/kick starting method, high performance aluminum exhaust pipe, dual stage paint treatment, halogen bulbs, high quality polyurethane seat, and large lockable rear trunk. 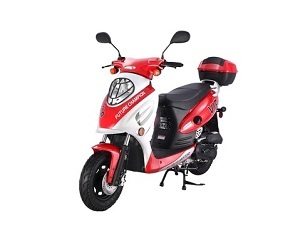 As for the safety features, the scooter comes with powerful front disc brake and rear drum brake to provide the best stopping power as well as emergency shut off switch which with one press of the button, it will automatically cuts the engine so you can stop easily. 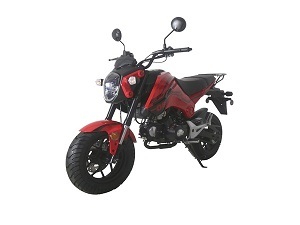 For convenience, the easy to use twist and go throttle acceleration gives simplicity while driving. 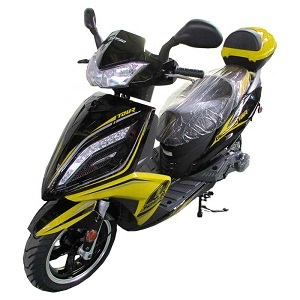 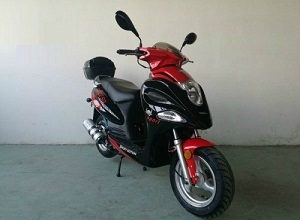 The 150cc scooter type TITAN 150 is the perfect choice for those who are looking for a fuel efficient reliable transportation to get around the town. 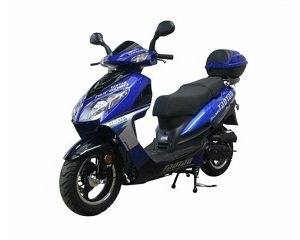 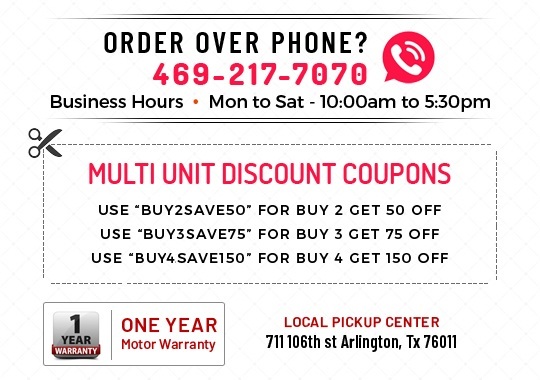 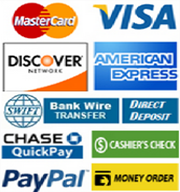 it gets up to 81mpg for a great fuel efficiency transportation.